Do you know just how crucial it is to stretch? (Hint: It’s very, very important.) Stretching is not just for athletes and the physically active. Those of us who deal with too much stress need to do stretches, as do people who live a relatively sedentary lifestyle. So, why do we need to stretch? Here’s the thing: Stress is stored in the body. Whenever we push away unwelcome emotions – fear, irritation, sadness – we are, in effect, sending stress to “live” somewhere else. Repression and denial of negative emotions only worsen the problematic physical and psychological effects of stress. 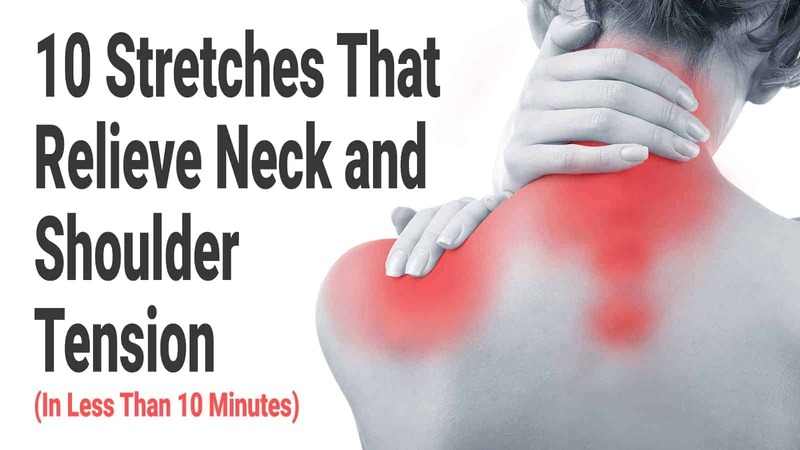 In this article, we’ll discuss 10 stretches that you can do in less than 10 minutes that will relieve neck and shoulder tension. Prior to doing so, we’ll discuss the role that your mood plays in tension. Finally, we’ll give some additional tips for releasing any pent-up tension. The neck and shoulders carry a disproportionate amount of tension relative to the rest of the body. Some psychologists attribute neck and shoulder tension to people taking on – or thinking they are carrying – excessive burdens and responsibilities. In other words, pretty much everyone contends with neck and shoulder tightness at some point. Psychosomatic pain and tension are particularly common in the U.S. This is hardly a surprise, considering that American workers have outdone Europe and Japan in terms of “(working) longer hours …and stress-related illnesses,” according to Forbes online. Many surveys and research studies cite the workplace as the leading source of stress and anxiety for most of the U.S. population. Workplace stress aside, whenever our body activates something called the stress response, the body automatically tenses up. The stress response, also called “fight-or-flight,” causes the body to release hormones. 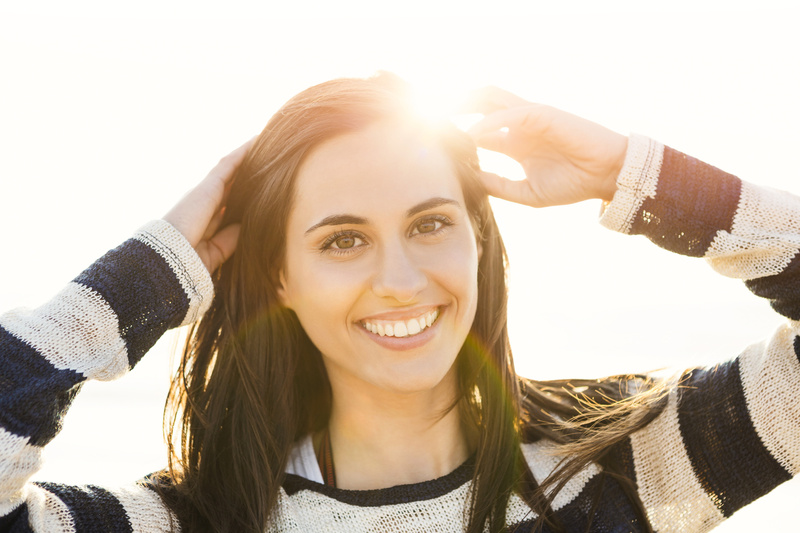 These hormones initiate changes in our physical and psychological makeup. Physiologically, the muscles in the body are “designed” to resist any imminent damage in the event of a stress response. If chronic tension is present, however, this mechanism can take a heavy toll on our bodies. Relatedly, it appears that muscles in the neck, back, and shoulders are disproportionately affected by long-term stress. Per the American Psychological Association (APA), muscle tension can be damaging. In scenarios of short-lived stress, muscles tense and release after the stress passes. When the stress becomes chronic, the muscles will tense up and not release easily. This long-acting muscle tension may manifest into conditions such as tension headaches, migraines, and musculoskeletal pain of the lower back and upper extremities. Chronic tension may also lead to damage for the heart and blood vessels. Elevated blood pressure and high levels of stress hormones contribute to complications. Without treatment, chronic tension can give way to hypertension, increasing the risk of a heart attack or stroke. Tension that doesn’t recede can cause destabilization of the respiratory system – the larynx, trachea, and lungs. Heavy tension commonly causes rapid breathing and shortness of breath. Individuals with medical conditions such as asthma and chronic obstructive pulmonary disease (COPD) may experience more severe symptoms. Muscles and tendons naturally tighten, particularly if you are active. Too much tightness can cause muscle pain and limit range of motion. Routinely stretching can help to offset these limitations on the range of motion – and may even help you expand it. You know by now that the body and mind are inextricably linked. When you’re stressed, so is your body. When your body is stressed, so is your mind. Naturally, when you relieve tension and stress in the body, your mind becomes more relaxed. Stretching on the regular won’t make you the next Arnold, but it will support muscle tone by working your tendons and muscle fibers. Moreover, properly stretching before a workout will help your muscles more efficiently add muscle. Athletes know the important of stretching compressed joints. Doing so helps to prevent injury and accelerates recovery time for injured joints, muscles, and tendons. If you are working out, no matter if the exercise is light, moderate, or heavy, you should be stretching beforehand. As mentioned prior, doing so helps prevent injury, but it also enhances your workout. Make sure to hit all areas of your body during the stretch, whether or not you think they’re involved in your movements. – Roll up a regular-size towel. – Place the towel at the base of your neck. – Carefully, let your head drop back to the surface. – Remain in this position for 5 to 10 minutes. – Place your right hand on top of your head and stretch the neck towards your right side. – Repeat the movement using your left side. – Tips: Please sit down in a comfortable position in a chair or on a mat. – Start by placing your right arm diagonally across the small of your back and grabbing it with your left hand. – Gently pull the right arm towards the left foot while tilting your head towards the left shoulder. – Hold the position for 30 seconds and repeat with the left arm. – Cross your right arm across your chest. – Using the area just underneath the left wrist, pull your right arm towards the body. – Hold for 10 seconds and switch sides. – Begin in the standing position with your back and neck held straight. – Simultaneously lift both shoulders up and roll them back, down, across, and back up. – Tips: Keep your neck tucked throughout the motion. – Begin the movement by standing up straight. – Clasp both hands behind your back, interlocking the fingers. – Straighten the arms as much as possible. – With a strong grip, slowly lift your arms opposite from the small of your back. – Hold the position for 30 seconds and repeat. – Begin the movement by holding your right arm firmly against the wall, palms down. – Pressing the shoulder into the wall, push against the wall with your opposite hand and rotate your torso. – Hold the position for 30 seconds and switch sides, repeating if desired. – Place a comfortable mat on the floor and get down on your hands and knees. – Slide the left arm, palm up, between the opposite arm and legs. – Rotate your body until your head touches the ground. – Hold the above position for 30 seconds and repeat with the right arm. – Sit in a chair and hold it from behind with one hand. – Tuck your chin towards the chest and bring your ear toward the left shoulder with your left hand. – Holding the above position, rotate your head 45 degrees, right and then left. – Hold for 30 seconds and repeat with the right side. – Begin the movement by holding your left arm straight in front of you. – Bend the left arm at the elbow and bring it around to the small of your back. – Use your right hand to reach behind your back and grasp the left hand, creating a gentle stretch. – Hold the position for 10 seconds and switch sides.